Network Rail, Highways England, Connect Plus and SEGRO are customers who value our approach. Standardised designs combined with offsite fabrication and off-line pre-assembly reduce on-site construction time, improve quality and minimise maintenance regimes. This reduces impacts on passengers and allows safe continued operation of our roads and rail infrastructure. 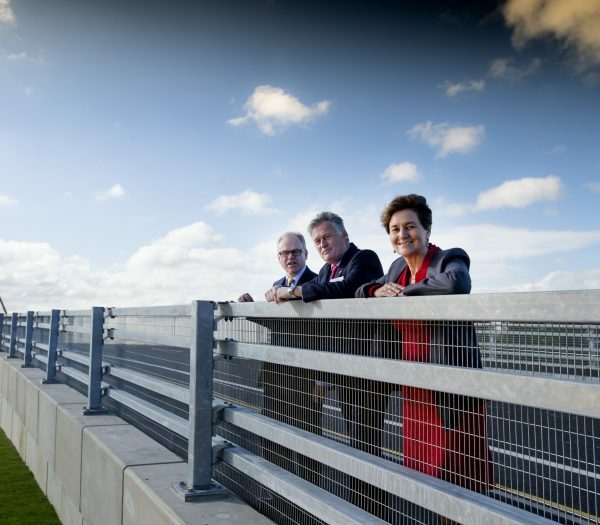 Whether replacing an existing bridge or providing a new structure we take the same collaborative approach to minimise disruption and keep the public moving. With over 200 bridge schemes completed, every solution meets specific customer needs and is designed to manage risk and maintain safety. Designs, specifications and methodology integrate modern methods of construction along with information gained from wider consultation with operators and maintainers. At Broadstreet underbridge, maximising off-site works ensured the critical rail possession period was met. The innovative use of dowels allowed reuse of the existing foundations. 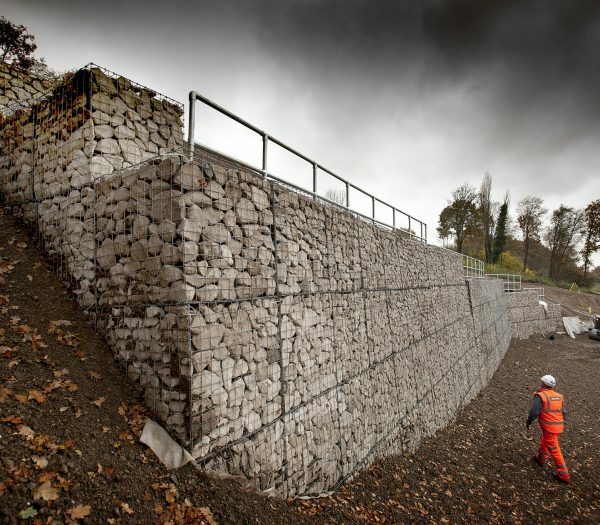 Whether it is a planned retaining structure to road or rail infrastructure or reactive embankment stabilisation works we work with our customers to determine the most efficient solutions. Where possible, temporary works are reduced or even eliminated. Our piling specialists support design development to identify the most suitable methods and we work with collaboratively with your operational teams to reduce disruption. On the Investment Programme Southern Framework with Network Rail, an embankment failure response protocol operates 24/7. Agreed processes ensure the operational railway is up and running safely in the shortest possible time.